NEWPORT BEACH, CA and CENTENNIAL, CO--(Marketwired - Mar 17, 2014) - MIG Real Estate, a Newport Beach, Calif.-based real estate investment company, has completed the acquisition of Copper Terrace Apartments ("Copper Terrace"), a 168-unit apartment home community in the Denver Technological Center submarket. Copper Terrace represents MIG Real Estate's sixth investment in Colorado multifamily properties, following its investment in Rosemont Ridge in Denver in 2011, as well as its 2012 purchases of The Hamptons and The Huntington in Lakewood, Canyon Point Cottages in Golden, and Churchill Downs in Denver. 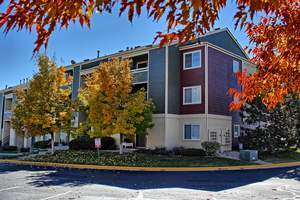 Copper Terrace is located at 6550 South Dayton Street in Centennial, 15 miles south of Downtown Denver and one mile from the Arapahoe at Village Center FasTracks Station. The multifamily community benefits from the area's high concentration of employment, consisting of the Southeast Business Corridor's 423,000 workers, and the neighborhood's strong demographics, with average household income over $100,000 within three miles of the community. "MIG Real Estate was attracted to Copper Terrace's value-add potential and location within a thriving job center," said Greg Merage, Chief Executive Officer of MIG Real Estate. Merage also cited Denver's 2013 rankings as the U.S. Census' fastest growing, large U.S. city and as Forbes' fourth best city for job seekers as motivating reasons for investment in the area. Copper Terrace features spacious one, two and three bedroom floor plans with walk-in closets, fully equipped kitchens and private patios or balconies. Community amenities include a swimming pool, clubhouse, fitness center and children's playground. Copper Terrace also offers fireplaces and vaulted ceilings in select units and optional private, detached garages. Copper Terrace is conveniently located within five miles of retail centers such as the Village Shops at the Landmark and the Park Meadows Mall. Copper Terrace residents also enjoy the community's location within the prestigious Cherry Creek School District, which is recognized as one of the nation's top performing school districts. Doug Andrews, Jeff Hawks and Terrance Hunt of ARA Real Estate Investment Services represented the seller in the transaction. MIG Real Estate represented itself. Alliance Residential will manage the property for MIG Real Estate. MIG Real Estate owns and operates a diverse portfolio of assets throughout Arizona, Nevada, Colorado, Utah, Washington, North Carolina, Florida, Wyoming, Edmonton-Alberta, Hawaii and multiple markets in California and Texas. The company is currently engaged in an aggressive expansion strategy, seeking "core-plus," "value-add" and "opportunistic" investments in hospitality, retail, office, industrial and multifamily product types. MIG Real Estate has acquired nearly seven million square feet of property, totaling approximately $1 billion of assets since April 2009. Additional information is available at https://www.migcap.com/RealEstate.